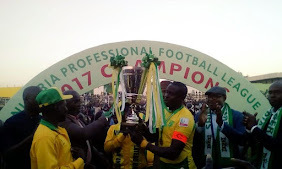 Former Nigerian league and Cup champions, Lobi Stars, will re-open the Aper Aku Stadium with a friendly match against Nigeria’s Under-23, fondly called Dream Team, on Saturday, March 14. Lobi return to the Aper Aku Stadium, which is their traditional home ground this term, after several years playing at different stadia as their home ground. Egyptian side, Smouha Sporting Club, on Sunday, March 15. 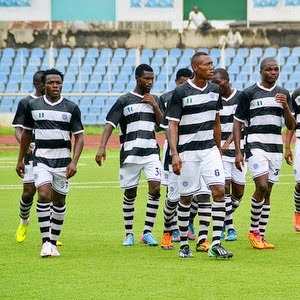 Lobi have played in neighboring Jalingo, in Taraba State, Bauchi and Katsina-Ala, in Benue State, due to unavailability of the Aper Aku Stadium. Club captain, Terna Ikpeen, is excited with the return of the club to Makurdi. "It's good to be back in Makurdi to enjoy the support of the home fans," Ikpeen told supersport.com. The administration of His Excellency Governor Gabriel Suswam ensured the stadium was renovated to return the state sponsored club to their traditional homeground, in the state capital. The Aper Aku Stadium, which is one of the best in the country hosted the Coca-Cola FA Cup (now Federation Cup), in 2008.